On the outskirts of Tokyo there’s a garden devoted to Bonsai. At the heart of the garden is a tree said to be over 500 years old and a $1USmillion dollar tree. But Kunio Kobayashi loves it for its form not its price. He has been creating tiny trees for over 30 years. 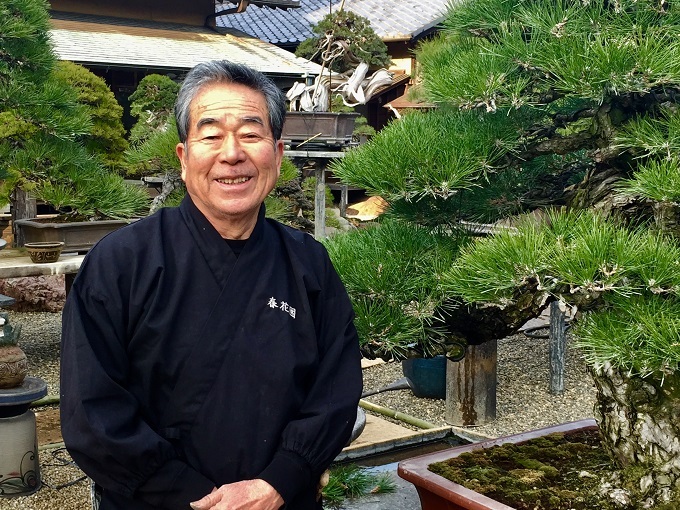 Now he is sharing his passion by displaying his trees in a private Bonsai Museum. The chosen few also get to learn the art of bonsai from the master himself, helped by his apprentices who now come from all over the world. Winding the wire around a tiny trunk and creating a tree in traditional style is a strangely meditative and calming process. “When you stare at the tree long enough,” says Kobayashi, “you start to see the universe in the tree”. *Bon means ‘Pot, Sai means ‘tree’. Simple.